Any metal fan will tell you that there is nothing quite like the roar of a guitar through a high-gain amplifier. 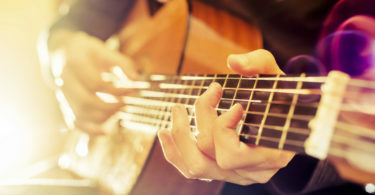 The guitar is one of the driving forces of metal. Whatever the style of metal, a thick and distorted guitar tone is crucial to the power of metal. The guitar sound that most people think of as being “metal” isn’t possible with just any gear. To get the right sound, you need one of the best guitar amps for metal. 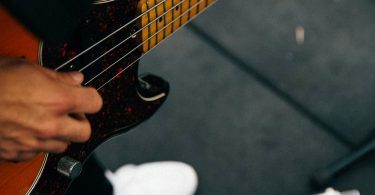 While guitar pickups and other gear can have an effect, the most important factor is a quality amplifier that can provide a good high-gain distortion. 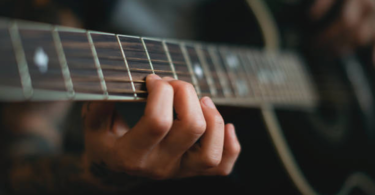 Guitar tones and taste in amplifiers vary from player to player. To create this guide for the best high-gain amp, research went into the best amp for metal players in general, though. First, there was a test of almost two dozen amplifiers at various volume levels, in solo and band situations, and at varying distortion levels. There was also an observation of other musicians to narrow the list. Research conducted involved artists associated with each model to find their opinions and preferences, too. Consistently gets modern metal tones. Switch the power level from 150W to 50W to get tones of overdriven power tubes easily. Includes a versatile effects loop with a rotary switch. Deciding to buy an amplifier is easy but deciding which amp to buy isn’t. With so many options and features available, you need to know exactly what you want when shopping for an amplifier. Here are some of your amplifier options, including tubes, solid state, hybrid or modeling. Tube amplifiers use vacuum tubes to amplify the guitar signal. Traditionally, it has always seemed that tube amplifiers are the solid preference of professional guitar players. Many players prefer the sound of a tube amp and for good reason. The classic cranked amplifier sound is a smooth, musical distortion that many believe they can only achieve with tubes. Budget is also something to consider before buying an amplifier. Consider the purchase itself as well as future maintenance costs. The electronics world has moved on from tubes to solid state, so tube prices have risen. Tube amps also tend to be more expensive than their counterparts. But they remain hugely popular due to their incredible tone. Tube amps are more sensitive than solid state amps, allowing for varying tones depending on how hard or soft you play. If you want high volume, a tube amp is a natural choice for the best guitar amp for metal. At comparable power ratings, tube amps are louder than solid state. Many musicians prefer tube amps and feel they are the better choice sonically as long as your budget can handle the expense. Instead of using tubes, solid-state amplifiers amplify the guitar signal using electronics, such as diodes and transistors. Solid state amps are usually much more affordable than tube amps, and they are more reliable, too. It is more common to experience a problem with a tube than with a solid state component. While that increased risk isn’t a deal-breaker, it is something to keep in mind when choosing an amp. Solid state amps are not famous for distorted tones, but they excel when it comes to powerful clean tones. In fact, the late Dimebag Darrell of Pantera and Damageplan prefers the distorted tone of his solid state amplifiers. And that is why they belong on this list of the best guitar amps for metal. Hybrid amplifiers are an option that has entered the amp world in recent years. These amplifiers combine the technologies of both tubes and solid state. Tubes in the preamp section provide some of the overdrive and distortion for which tube amps are known. However, solid state components go in the power amp section. This allows for a lower cost, reduced tube expenses, and often an overall smaller footprint. While hybrid amps don’t sound exactly like tube amps, many hybrids sound great, so they are an excellent compromise. If you want one of the best guitar amps for metal, look at a hybrid amplifier. Modeling amps are one of the newest entries into the world of best guitar amps for metal. This type of amp uses digital technology to emulate the sound of a tube amp, often allowing a player to model the amp’s tone after a specific tube amplifier. Some modeling amps will even emulate the tone based on variables such as speaker cabinets and specific speakers. A player can program the sound of a 100W Marshall through an open-back 4×12 cabinet loaded with Celestion 30W speakers, with the resulting tone coming out a 60W modeling combo amp. Some players feel the emulations are lacking in comparison to the real thing, but it is an amazing technology that is advancing continually. These amplifier types may be a better choice than the others, depending on the player’s needs. If the player has the ability to crank the volume to reach heavy tube saturation, a tube amp will deliver an amazing metal tone. A bedroom player who wishes not to anger the neighbors may want to choose a solid state or modeling amplifier, or perhaps a hybrid to include some tube sounds. Configuration Concerns: Combo or Head and Cabinet? When buying an amplifier, you should base your choice of configuration on a few important details. Some players may prefer a combo amp, while others will opt for a separate head and speaker cabinet. But you can also use both, depending on the situation. A combo amp is an all-in-one amplifier, which makes it a contender on this list of best amps for metal. It is a combination of head and speaker cabinet as one unit. Years ago, combo amps were limited to home use, recording sessions, and small gigs. They just did not have the power to deliver enough sound for bigger venues. But many manufacturers now produce more powerful combo amps, so it is common to see them on stages. Despite their smaller size, combo amps can be quite heavy. Even so, many players still consider them more portable than separate heads and cabinets. Speaker configurations vary in combo amps, with the most common being one or two 12-inch speakers. Metal players usually love to play at high volumes, so you will frequently see amplifier heads with separate cabinets on stages. Musicians often refer to them as “stacks.” A full stack is a head and two cabinets with four 12-inch speakers each, or 4×12. A half stack is a head with one 4×12 cabinet. Other cabinet configurations are available. Some people like to play through a 2×15. Using a separate head and cabinet can be less convenient than using a combo. An amplifier head can weigh as much as a combo by itself, and many speaker cabinets are fairly heavy. 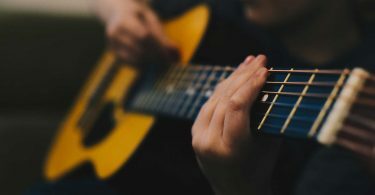 The separate components will require multiple trips into a venue or studio while a player may be able to carry a guitar and combo amp at the same time. If you have to frequently move your gear, considering a combo amp is worthwhile. Remember, cabinet design has an effect on the sound. A closed back cabinet is completely enclosed. An open back cabinet is not completely enclosed. The back is usually in two parts with an opening in-between. And closed back cabinets tend to have a greater bass response than open back cabinets. When buying an amplifier, you need to choose the right tool for the job. This is especially true when it comes to the power rating. In an apartment, it would be unlikely that you could ever use a 100W stack to its full potential. But at a gig with a loud drummer, a 5W amp would be difficult to hear, even for those on the stage. Amplifiers with higher wattages are most common when playing live. A live performance provides an environment where enough volume is possible to use the power. Low-wattage amps are useful at venues in which the sound engineer will mic the amp, but they truly shine in the studio or home. You can turn them up loud enough to get a great tone, while not being so loud that your neighborhood forms a mob. Many people prefer to record with a low-wattage tube amplifier. Although volume is an important factor, the amplifier’s power rating has an even more significant effect on a player’s tone. An amplifier with a high-power rating will provide more clean headroom. Headroom is the amount of volume available before tube saturation and signal compression begin. An amp with a lot of clean headroom will not produce a distorted tone until it is at a high volume. A low-wattage amp will not have much headroom and will distort at low volumes. Even though the sound of a distorted guitar tone is a staple of metal, many players also like to use clean tones. This can produce a complex issue. You want enough power to reach your desired clean volume, but you also want to be able to get a nice distorted tone from your amp. Also, high-wattage amps almost always have a better low end, or “thump,” than low-wattage amps. Some players choose to use more powerful amps. Others obtain distorted tones through the use of effects pedals. And some prefer 50W-60W amps as a good compromise. So the best guitar amp for metal depends on where and what you play. Many amplifiers include additional features, but they vary from amp to amp. When deciding between two similar amplifiers, consider these extra features. Although not always necessary, they can help you create the best guitar amp for metal with ease. Many amplifiers include an onboard reverb unit. Spring reverb units can deliver a natural sound. Some amps include digital reverb units. They use spring units in both tube and solid state amplifiers and digital units in solid state and modeling amps. Players who like to easily switch between a variety of tones may want to purchase a multi-channel amp. One and two channel amps are the most common, although amps with three or more channels are also available. Multiple channels allow a player to easily switch between clean and distorted tones, or between a few distorted tones. Channel switching is usually accomplished with a footswitch, which may or may not be included. To truly take advantage of multiple channels, it is best to have independent EQ controls for each channel. Effects loops are output and input jacks that allow a player to connect outboard effects between the amplification stages. Most effects pedals go in the signal chain before the amplifier. Effects such as overdrive perform best this way. Some modulation effects such as digital delay sound better when run through the effects loop. Using the loop avoids the preamp section amplifying any noise or distorting the sound of the effect. Some of the best amps for metal also include built-in effects other than reverb. The types of effects vary depending on the manufacturer. Some Fender amps have an excellent tremolo. Ibanez has produced amps with a built-in version of the company’s legendary Tube Screamer. Modeling amplifiers often include numerous effects emulations, allowing a player to virtually build a complex rig. Using built-in effects can provide an all-in-one solution, but the ability to precisely adjust each effect is sometimes lacking. Additional output jacks are common features in amplifiers. 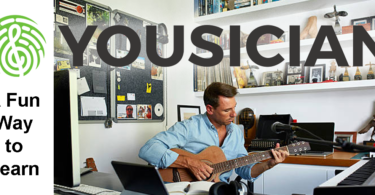 Outputs with speaker emulation are becoming more common as home recording continues to grow in popularity. External speaker outputs are a standard requirement on amp heads. Combo amps frequently include these jacks to enable players to expand their rigs by adding additional speaker cabinets. The presence or absence of any of these additional features isn’t critical to purchase the best guitar amp for metal. Some of these are great to have, but it is not difficult to find external options for many of them. So don’t pay extra for these features unless you know you will use them. The Mesa/Boogie Triple Rectifier is one of the best guitar amps for playing metal. It offers as much volume and gain as any player might ever require. The Triple Rectifier can deliver up to 150W of power, providing an incredible amount of headroom. Its ample clean headroom helps this amp produce clean tones at volumes that would have most amps well into distortion. It produces a wide range of distorted tones. You can achieve tones with even higher gain by using an overdrive pedal. But many players will be more than happy with the amplifier’s natural distortion. There are three channels, each with its own independent EQ controls. You can set one channel to a clean tone, the second to a crunchy rhythm tone, and the third to a singing lead tone. One of the best features is its ability to switch the power level from 150W to 50W. Using the 50W level, it is possible to push the power amp section without having to play at a painfully loud volume. Players who enjoy the sound of overdriven power tubes will be able to get that tone more easily than they would in the 150W mode. Another excellent feature is its versatile effects loop. The usual features are present, of course: send jack, return jack, level control. The Triple Rectifier also includes a rotary switch to select whether the loop is active or bypassed. You can also choose whether the loop effects all channels or only one specific channel. Many performers appreciate being able to place a delay in the loop to only affect the clean channel, keeping the other distorted channels tight and crunchy. Players who enjoy playing with reverb will need to use an outboard source in the effects loop. This is not a major concern for most, though. Many people enjoy a bit of reverb on a clean tone, but rarely use it when playing metal. Players looking for an amp that consistently deliver great modern metal tones will like this amp. If the goal is a more classic metal tone, you can consider other amps. The Triple Rectifier’s controls are easy to tweak to find just the right sound. Mesa/Boogie has built a reputation on building great-sounding amplifiers, with bands like Metallica making them part of their signature sounds. Those players who buy this amp will be rewarded with the ability to play with many fantastic metal tones. The second place in this battle of the best guitar amps for metal goes to the Laney GH50R. 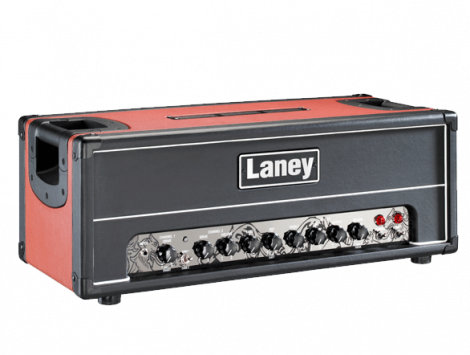 Laney amps are not as well-known or as widely used as some other amps tested, but they are excellent amps for playing metal. And the GH50R delivers great classic metal tones. A unique feature of the GH50R is the addition of controls to control power tube saturation. Many players never get to experience the sound of power tube saturation because it occurs at high volume levels. The GH50R includes a control to increase power amp output while maintaining a reasonable volume. The GH50R is also unusual in that it has two truly independent channels. With most amplifiers, each channel is designed for a specific purpose. Amplifiers will usually have a clean channel and at least one distortion/overdrive channel. The GH50R has two channels players can set as they wish. You will appreciate the possibilities of having two clean channels, two distorted channels, or one channel for each. The GH50R includes digital reverb. Although some musicians prefer a spring reverb, but this is a good feature as many Laney amps don’t include reverb. But either version would be a great choice for a player who seeks versatility along with classic metal tones. 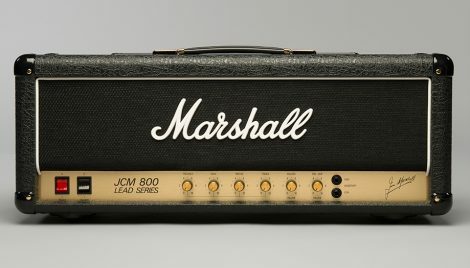 The Marshall JCM 800 is a fantastic 100W amplifier for playing classic rock. Adding an overdrive pedal to increase the gain, makes it the best guitar amp for metal from Marshall. The JCM 800 is a no-frills amp. It had one tube-powered channel with no reverb or other effects. The JCM 800 2203 is a new re-issue that retains the glorious sound of the original. You can hear the tone in the majority of metal songs from the 1980’s. If you don’t like that tone, this is probably not the amp for you. This amp needs a boost or overdrive pedal to get into metal territory, which some players may consider a negative. Cranking the volume and boosting with an overdrive pedal will produce a great metal tone. However, few players will be able to use this amp at the resulting volume level. This amp is best for hard rock tones, which it does exceptionally well. 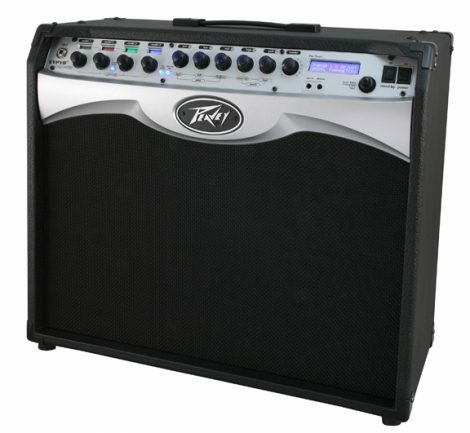 Peavey based the 6505+ on their legendary 5150 line of amplifiers. The 6505+ is a good amplifier, but it may disappoint anyone who believes this will be an affordable 5150. The 5150 excels in producing clean, distorted tones and could provide singing lead tones. The 6505+ is satisfactory at those tones, but it is not great. It has 120W of power, so it is loud. Unless a player is using it on sizable stages, it is unlikely they will use this amp to its full potential. And there is a significant amount of background noise, even on the clean channel. There have been numerous reports of quality control issues, especially with the electronics. If not for these problems, the 6505+ would be the best guitar amp for metal. Many guitarists prefer tube amps. But some solid state amps lack the warmth in the tone of a tube amp. 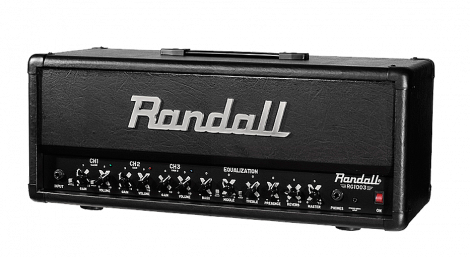 However, Randall has designed the RG1003H for the metal guitarist. The clean channel is not particularly clean, yielding more of a slightly overdriven tone. The high-gain channels are thick and crunchy. However, many players won’t mistake the sounds for the roars of a good tube amp. It would be the best guitar amp for metal if each channel had an independent EQ, but it is possible to set it so every channel sounds good. The RG1003H is an excellent value. It should get serious consideration from any guitarist who is interested in a solid state metal amp. 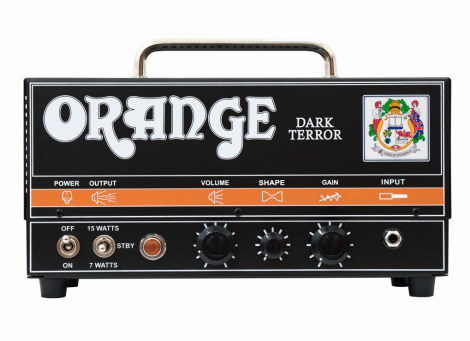 The Dark Terror is a high-gain “lunchbox” amplifier. Unlike many similarly sized amps, it is an all-tube amplifier. Although it is on this list of the best guitar amps for metal, there are some downsides to this amp. The Dark Terror offers two power levels of 15W and 7W. This makes it a practice or recording amp for most, as it may be hard to hear it over a powerful drummer. It has no EQ controls other than a “Shape” knob. The Dark Terror has more than enough gain for metal, though. Stoner rock or doom metal players will love this amp for its thick, loose bass response. Those players looking for a more precise metal tone will have to use an overdrive pedal or EQ pedal to tighten up the low end. The Dark Terror is small and easy to carry, which are things tube amps are not famous for. It is reasonably priced for an all-tube amp, too. 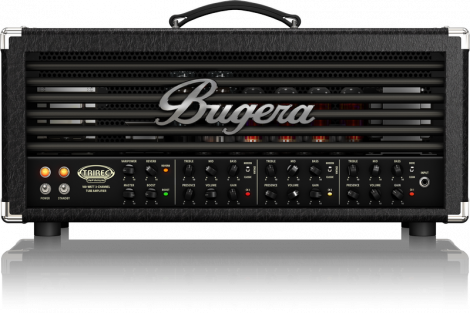 The Bugera TriRec, may not be the perfect version of the Mesa/Boogie Triple Rectifier, but it is a good-sounding tube amp at a good price. 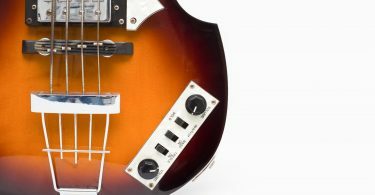 Although it seriously lacks the low-end power, for players in search of a tighter distortion, this could be a feature rather than a flaw. The TriRec has a Varipower dial that scales the output power from 1W to 100W. However, this amp is still louder than “bedroom volume” at the low end of the scale. The tone seems to greatly suffer as you scale down the output power. Also, Bugera has a history of customer complaints regarding quality control. Many players have reported excessive noise, failed components, and even new, non-working amps. Unfortunately, there have been similar reports for the TriRec. It is hard to recommend this as the best guitar amp for metal from a company with such known issues. However, this is a great hand-wired amp that delivers much of the Mesa/Boogie sound for one-third of the price. The SLO100 is an incredible amplifier. Its clean tones are warm and full. Many players revere the SLO100 for its distorted tones. They range from bluesy overdrive to extremely crunchy metal tones. Some players dislike the natural compression of the SLO100, but it is what gives this amp its famous singing sustain. The sound of the SLO100 can vary depending on the speakers you use with it. So, it is a good idea to try it with various cabinets and speakers to find the best combination. 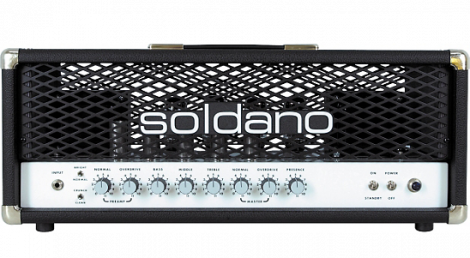 They build Soldano amplifiers by hand and to last. They even come with a lifetime transferable warranty. 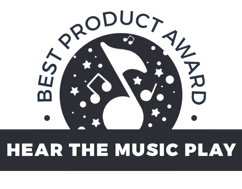 This means Soldano guarantees your amplifier even if you buy a used one. Any player who loves classic metal tones should play through this amp at least once. The SLO100 is one of the finest amps ever, so that’s why it’s on this list of the best guitar amps for metal. However, it comes with a price to match that status. Modeling amplifiers have greatly improved in recent years. 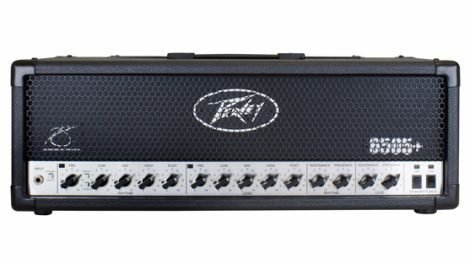 The Peavey Vypyr Pro 100 is among the best guitar amps for metal with significant improvements over other amps in the Vypyr line. Many of its models are convincing emulations of popular amps, as well. Other models are not impressive. And this is not surprising. A modeling amp often turns out to be a jack of all trades but master of none. It is difficult to do so many things and do them all well. Still, it is a great choice for a player who wants a modeling amp. For someone who has little experience with this type of amplifier, there is a bit of a learning curve. This is acceptable considering there are over 100 different models of amplifiers, instruments, effects, reverbs and delays available. But one problem is that the Sanpera Pro foot controller is necessary to fully utilize the Vypyr Pro, and yet they don’t include it. This amp is fun, especially when playing with the instrument models such as the sitar and electric violin. Peavey included an XLR jack to allow easy connection to a mixing board or PA system. But they should also include a speaker output jack to allow people to use the Vypyr Pro with an additional cabinet. Hopefully, this list of the best guitar amps for metal has helped you decide what to buy. Consider the venue and the sounds you want to achieve, and shop around until you find the right one. By taking your time to choose, you’ll end up with a great setup.